AR Murugadoss, who presents the villains in his movies as powerful as heroes, has roped in Prateik Babbar in Rajinikanth's Darbar. The antagonists in AR Murugadoss' films are not just showpieces airlifted from Bollywood. They don't come before the heroes to appear weak nor to just rant punch one-liners to display their strength. 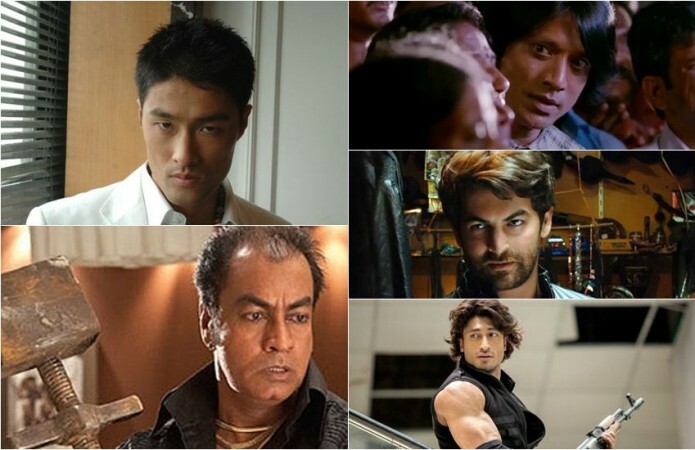 The villains in his movies have unique traits and when talent meets the presentation, the roles remain in the audience's hearts forever. With Prateik Babbar being roped in for the director's upcoming movie Darbar, starring Rajinikanth, expectations are high from the young Bollywood actor to deliver. Since his earlier days, AR Murugadoss never underwrote his villains. In Ghajini, he presented Pradeep Rawat as Ram-Lakshman at their brutal best. The scenes in which the villains attack the hero and heroine with iron rods was not just another action scene, but the entire story built on one such sequence which highlights the importance of a powerful villain in the film. In Thuppakki, Vidyut Jamwal looked cool and sensible villain. His build-up leading to his confrontation with Vijay was well-handled by AR Murugadoss. "I'm coming for you, once I get you, I will kill you," the dialogue which he yells at the hero, played by Vijay, was one of the best hero-villain scenes. In 7aum Arivu, AR Murugadoss roped in Hollywood actor Johnny Trí Nguyễn, a Chinese spy who is on a mission to destroy Tamil Nadu. Although inspired by many Hollywood movies, some scenes like the villain entering the police station and injecting a dangerous virus into a dog, left an everlasting impression on the viewers. AR Murugadoss does not go with the tried-and-tested portrayal of villains in his movie rather writes scenes which show that they are no less than heroes. One such example is Neel Nitin Mukesh's role as a suave corporate monster in Vijay's Kaththi. Last but not least, SJ Suryah's psychopathic serial killer role overshadowed the hero in Spyder. Looking at the history, one would easily say that Prateik Babbar too would have a powerful role in store against Rajinikanth, but time will tell how well he utilises the offer.